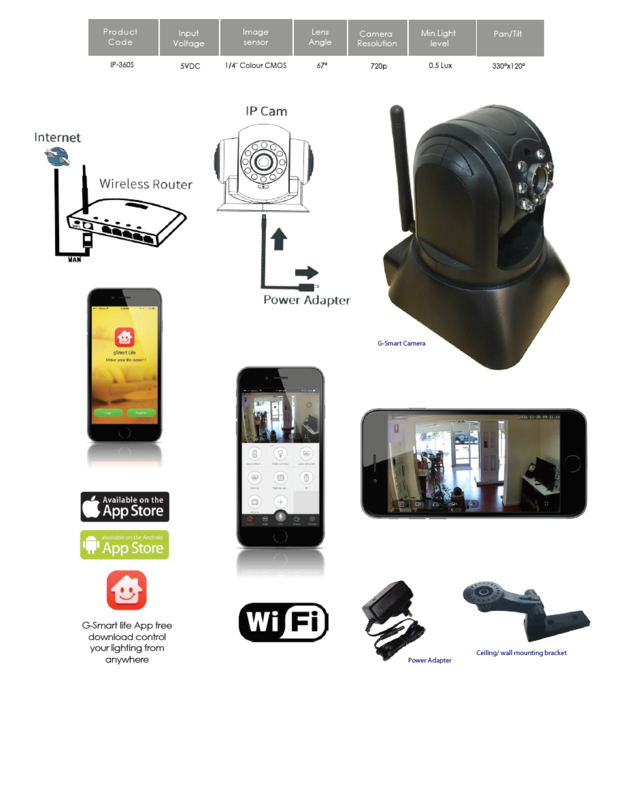 The G-Smart IP Camera is the perfect device for monitoring the home or workplace. To set up simply scan the IR code and it is connected to the G-Smart App. The camera can pan and tilt 330° x 120° and also has sound capabilities. install as it only requires power connection for the camera to operate.